« Zeagle Regulator Clearance ! 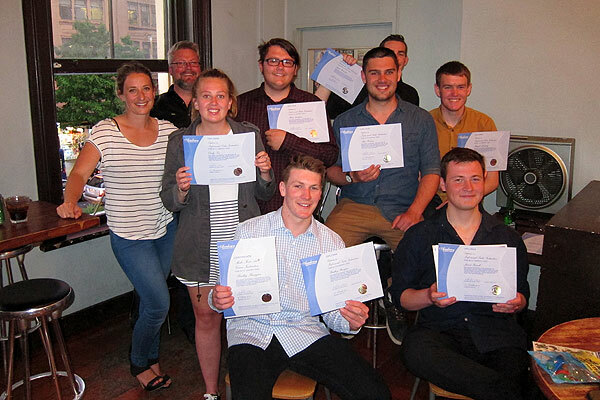 A huge CONGRATULATIONS to the students at Auckland Scuba, Albany, on completing their Diploma in Professional Scuba Instruction (DIPSI). Emily, Blair and Mitchell from the Whangaparaoa Peninsula. There was a 100% completion rate from everyone who began the full-time course way back in February 2015. After a lot of hard work and dedication (and heaps of fun diving) our students head in to the work force as PADI Scuba Instructors, with 5 specialty ratings (Nitrox, Wreck, Deep, Oxygen Provider, Navigation), Medic First Aid Instructors and Emergency First Response Instructors. “The 9 month course was a life changing experience that I will never forget! It made me more confident. The instructors helped us through everything. Nick was always there to help and he would always do his best to get us through. It was an awesome experience and I can’t wait to see where it takes me. Thanks for everything and I would recommend it to everyone! !